What steps can I take to keep my card secure? Which banks does MyGate integrate into? How do we change our banking details? What is a terminal ID? When and how do the banks pay the funds over (Settlement)? What does do not honor mean? What is a Transaction Reference? It’s late in the evening, you are paying for petrol at a garage with your bank card, and the pump attendant is holding the card machine above his head hoping to get a signal. Your phone then receives an SMS stating that the payment has gone through, but the attendant gives you a slip saying “Error” – and says you need to pay again. While your initial reaction may be to argue with the staff member, it’s a safe bet that the money has not really gone off your account. MyBroadband spoke to Standard Bank, FNB, Absa, and Capitec about the “incorrect SMS” issue, which said can happen across the payment industry in general. Standard Bank said the incident is caused by the transaction attempting to process after the PIN has been authenticated, but a network communications failure comes into play. “The SMS would go off the user’s phone to indicate that the funds are reserved for settlement, but the actual debit and settlement will not take place,” said Standard Bank. This would be then be “pended” on the card holder’s account, and there would be a follow-up SMS which shows funds have been released back to the card holder. The first SMS the user receives show the funds have been uplifted on the account pending settlement, but the settlement does not take place due to a communications failure. To ensure the transaction has not gone through, customers must also check the printed slip from the point of sale device they transacted on, said Capitec Bank. “Customers should insist on a receipt for the failed transaction. The receipt can be used to raise the matter with their bank should the reversal not be automatically processed within a day or two,” it said. Capitec Bank said the EFT protocols used to ensure the security and integrity of card transactions will almost always ensure that any failed transaction is automatically reversed, however. Absa told MyBroadband that terms to look out for on the point of sale device, or the slip printed from it, include “communication error” or “authorisation failed”. 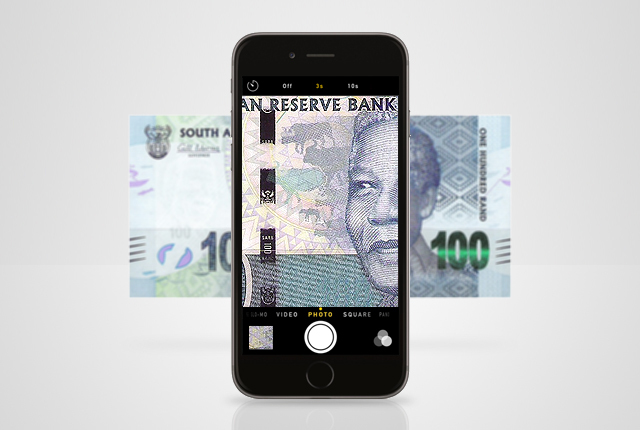 Absa said that through the Payments Association of South Africa (PASA), the banking industry is looking at implementing a solution to advise customers of the charge reversal. “We are very aware of the issues it may cause with merchants who have to face irate customers, sometimes due to a fault as simple as a mobile network problem,” said Absa. FNB said it is also working with PASA on the matter, but that instances of the scenario described above are not very common. How do Bank Reserves work? What is an email payment link?